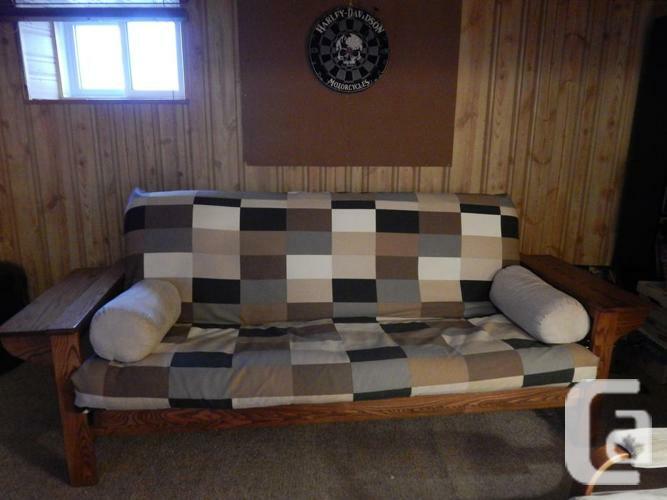 Futon couch with steel frame and wood slats. Can be used as couch or double bed. Ends lift up or stay flat.